There are 46 UNESCO World Heritage Sites in Spain. It has the third highest number of UNESCO sites of any country. These three sites were inscribed into the world heritage list for their cultural value. All of these cities are located in the Andalusia province of Spain. They were notable for the remains of the Moorish influence in this part of Spain. 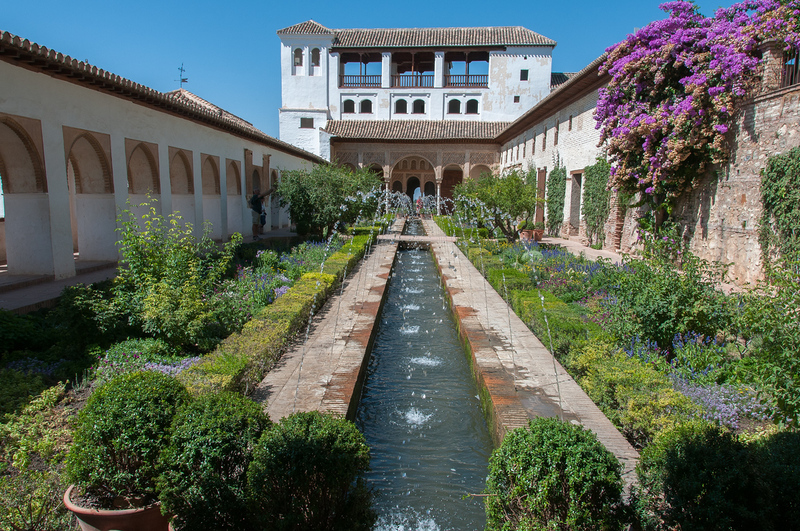 In particular, notable sites include the fortress in Alhambra and the Palace in Generalife. Both of these structures were built for by the Emirate of Granada rulers at that time. When you visit the Albayzin district, you will find more architectural structures that feature Moorish vernacular styles. The Royal Palace of Aranjuez is the main feature of this town in Madrid, Spain. However, the landscape around the royal structure is what makes it stand out for UNESCO. This landscape was developed by Spanish royal family for 3 centuries. It also incorporates innovative design ideas in the horticulture realm. It used to a private property for the royal family until it was open to civilians in the 19th century. 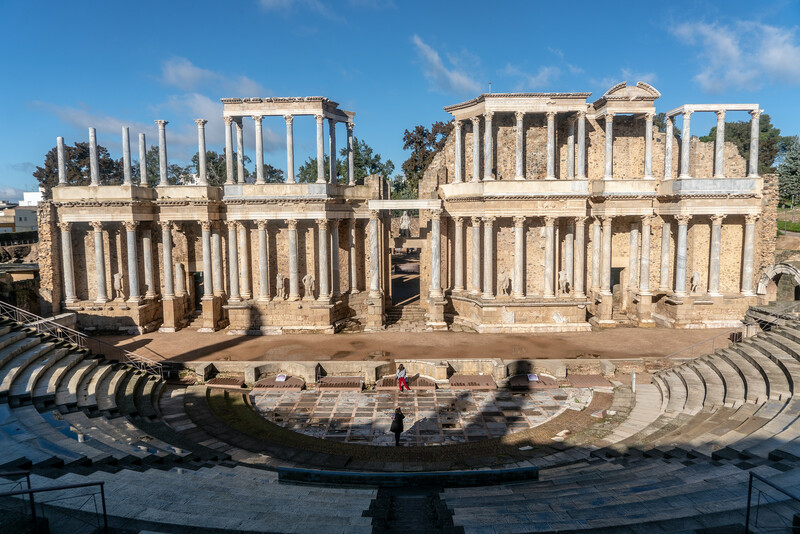 The town of Merida was founded by the Romans during the 25 BC. It was then named Emerita Augusta. To this day, centuries after the Romans have abandoned the place, many of the Roman remains are still evident. These include an aqueduct, bridge, amphitheater, circus, forum and more. 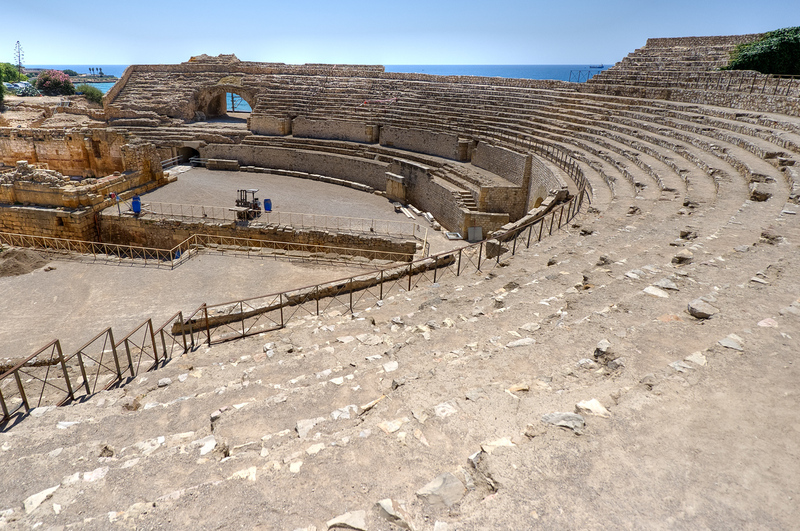 The ancient city of Tarraco was basically established by the Romans during the earlier days. In the modern day era, it is now known as the city of Tarragona. When you visit this city, you will find a lot of ruins from the Roman Empire’s rule of the land including an amphitheater that has been around since the 2nd century. The Atapuerca Mountains and its caves are culturally important not just to Spain, but also in Europe. This is where the earliest fossil remains of humans were excavated. These fossils were believed to be about one million years of age. This is also where you can find the “Pit of Bones”, which is the largest collection of hominid fossils in the world. The Burgos Cathedral, officially known as the Cathedral of Saint Mary of Burgos, is one of the cultural sites included in the list of Spanish world heritage sites. It is a Roman Catholic church recognized for its Gothic-style architecture, specifically depicting French Gothic patterns. The church was constructed in the 13th century but was made over in the 15th and 16th centuries. 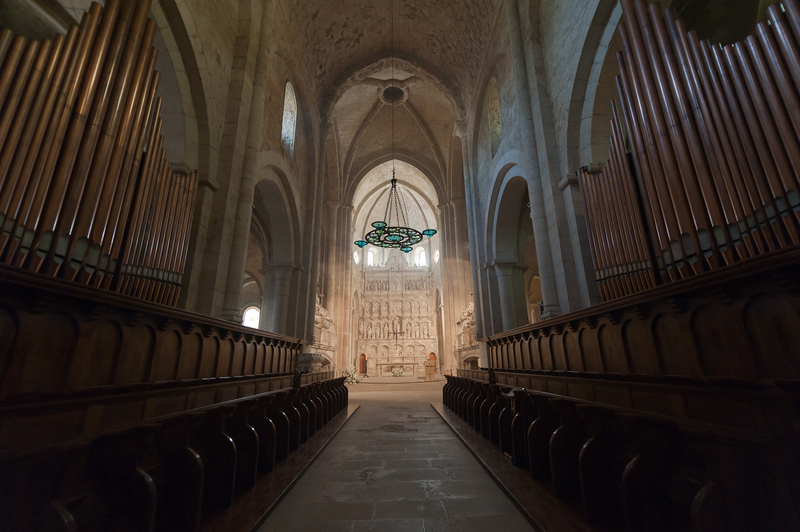 The cathedral also houses preserved works of art from top artists and sculptors in Spain. Located in the valleys of the Spanish Pyrenees Mountains, the Romanesque churches are noted for their beautiful and elaborate architecture. However, the murals, altars, and statues within these churches are also notable. They have been preserved for several centuries since these churches were built from the 11th to 14th century. 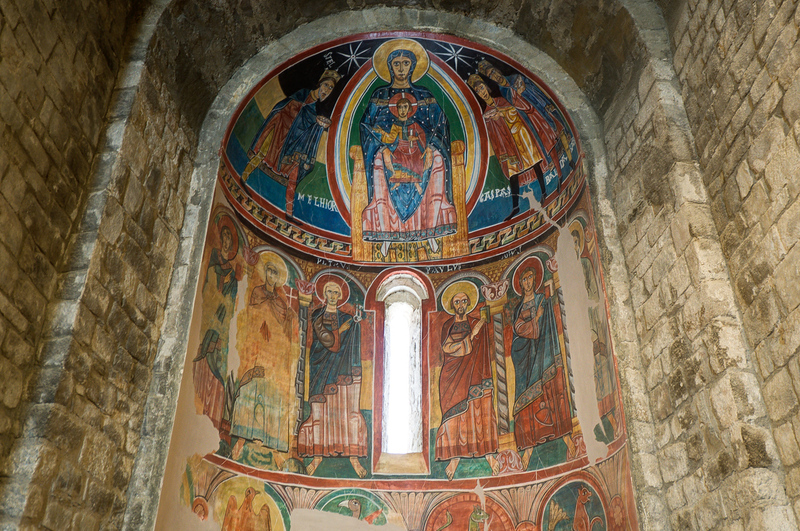 Aside from the preserved murals, the square bell towers are another distinctive feature of these Romanesque churches. The Alcazar in Seville was built for by the Almohad dynasty when they ruled southern Spain. It has been around since the 15th century and this is where you will find the tombs of Christopher Columbus and Ferdinand III. The Cave of Altamira is a culturally important site in Spain because it features cave paintings that date back to the Upper Paleolithic period. The cave paintings were believed to have originated from the 35,000 BC. The original world heritage listing included 17 decorated caves. Due to the deep isolation of the caves, scientists believed it helped to the preservation of the cave paintings. Located on the western coast of Majorca, the cultural landscape of Serra de Tramuntana is a product of several centuries or agricultural work. There are several water management systems and devices put in place together with water mills, agricultural terraces, dry stone constructions, and farms, among other things. These farming units also arose from feudal sources. Another site from Andalusia listed as one of the UNESCO World Heritage Sites in Spain is the Doñana National Park. This national park is where the Guadalquivir River flows through to the Atlantic Ocean. There is a wide range of biotopes, dunes, marshlands, and lagoons within this delta region. In fact, during the winter season, over half a million waterfowl find a home in this park. 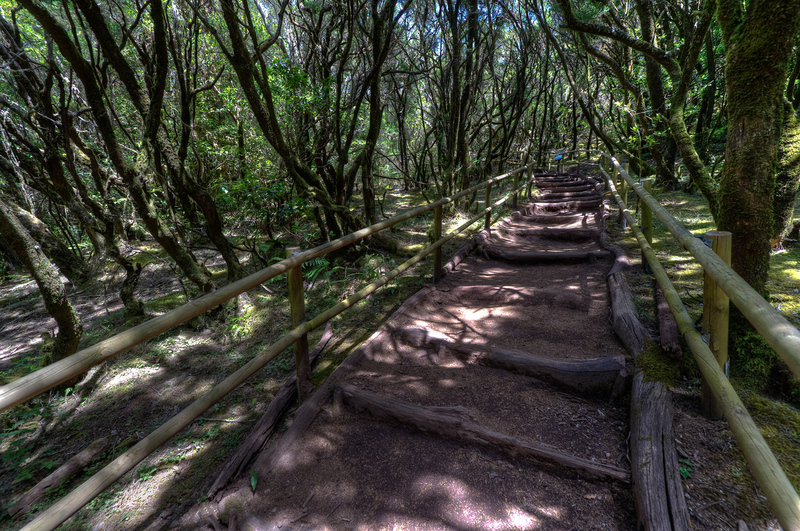 Located in the Canary Islands, specifically in La Gomera, this natural site made it to the UNESCO list in 1986. About 70% of the park consists of the laurel forest, which started from the Paleogene period. Due to climate change, they disappeared from Europe but had covered most of this forested park. During the Roman times and until the present day, Almaden is a mercury mining town. It was founded during the 16th century, which is why it was recognized as one of the UNESCO World Heritage Sites in Spain. There are also several buildings and structures related to its mining history that was built all over this town. 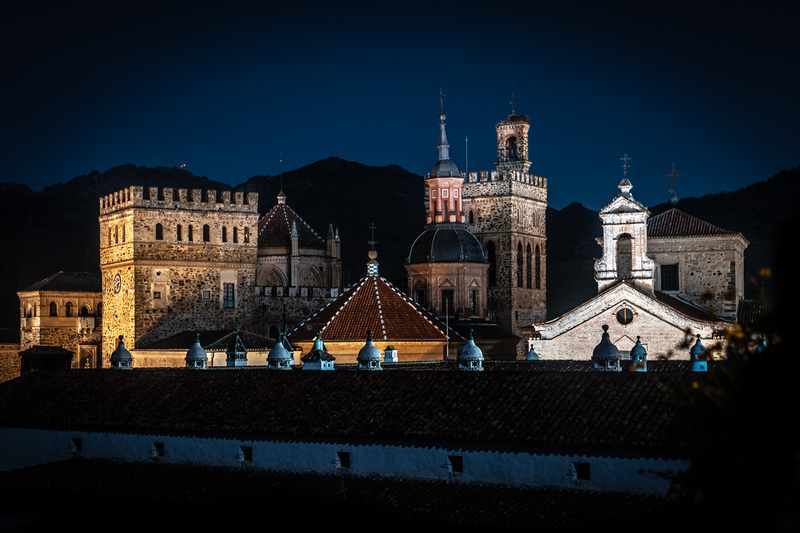 The inclusion of the historic center of Cordoba is an expansion of the original world heritage listing. 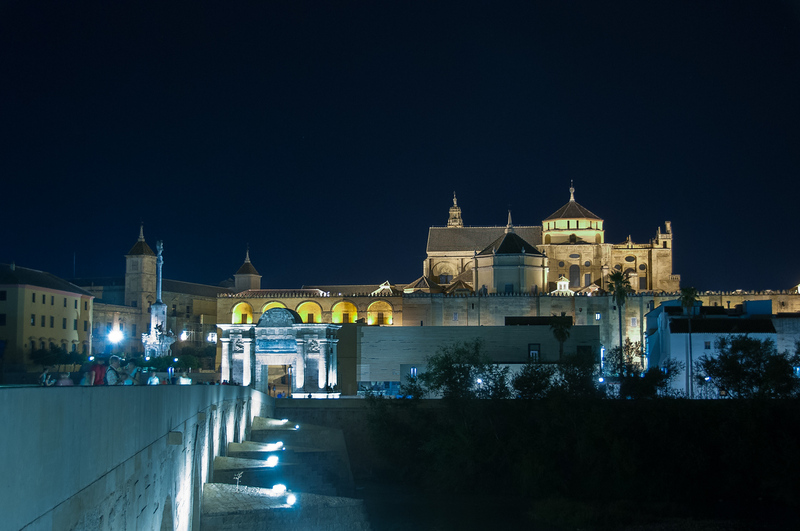 Initially, only the Great Mosque of Cordoba was included in the list. This mosque was once a 7th century Catholic Church that was converted in the 8th century. The Moorish rule in the region of Cordoba has left behind many architectural and religious artifacts, including over 300 mosques, which had led to the expansion of the UNESCO listing to cover more areas in Cordoba. This is yet another city in Spain that was founded by the Romans. In fact, Toledo used to be the capital of the Visigothic Kingdom in Spain. The city of Toledo is vibrant and diverse having had influences from various sources including the Jewish, Muslims, and Christians. It serves as a melting pot for these various cultures and much of that is still evident until today. This fortified city was established by the Moors in the early 8th century. But in the 12th century, the city was already in possession of the Christians. The Cathedral in the town of Cuenca was the first example of Gothic architecture in Spain. In addition to that, the town of Cuenca is best known for the houses that are hanging off the edge of the cliffs, known locally as casas colgadas. The coast of Ibiza might be famous with travelers but it is also listed as one of the UNESCO World Heritage Sites in Spain. A type of seagrass known as Posidonia Oceanica is found only in this part of the Mediterranean coast. It is part of a diverse marine and coastal system. In addition to a unique marine ecosystem, the coast of Ibiza is also notable for having fortified walls and Phoenician ruins that date back to the 16th century. 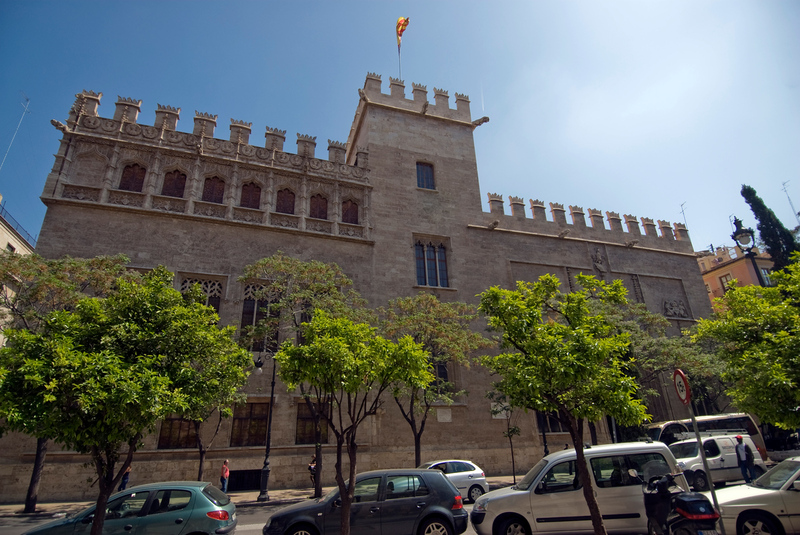 Located in Valencia, Llotja de la Seda is a Gothic-style building noted as a popular tourist attraction. It is one of the cultural sites recognized onto the UNESCO list. There are three parts that make up this building: the main hall, the side wing, and the first two floors. The main hall is a large space with lavish decorations and twisted columns. It served as an important financial center wherein merchants iron out contracts. Meanwhile, the rooms in the first two floors still maintain the original furnishings from the time that the building was constructed in the 15th century. This historic mining site belongs to the town of Ponferrada in Spain. 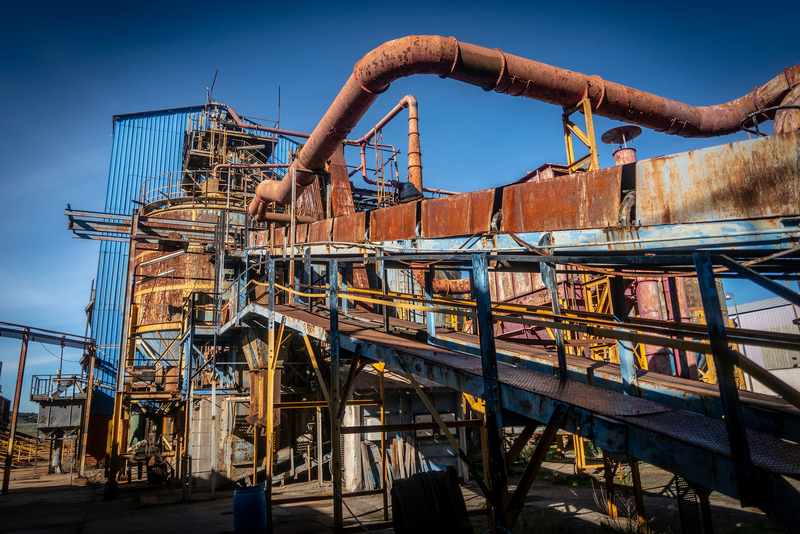 Specifically, gold was one of the top products mined here and where you will find the largest open-pit gold mine. The Las Medulas Cultural Landscape was inscribed on the world heritage list for its unique of Roman mining technique, which is a type of hydraulic mining. It was therefore during the Roman Empire wherein large-scale mining and production of gold came to be. Also known as the Royal Site of San Lorenzo de Escorial, this is the historical residence of the King of Spain. It is located in Madrid, Spain. This Spanish royal site also serves many functions including as a monastery, basilica, library, museum, hospital, pantheon and royal palace. There are two architectural complexes that are found within the site, both of which are known for their historical and cultural significance. The religious architecture in the Iberian Peninsula, within the kingdom of Asturias, helped keep Christianity alive. Most of the monuments and architecture was established in the 9th century. Some of the most important religious architecture and monuments include the churches of Santa Maria del Naranco, Santa Cristina de Lena, San Miguel de Lillo, and more. The contemporary hydraulic engineering structure in Oviedo called La Foncalada is one of the most distinctive structures in the region. This listing is a collection of architectural structures in Aragon, Spain that depict the aesthetic style known as Mudejar. From the 12th to the 17th centuries, Aragonese Mudejar produced over 100 architectural monuments. There are 10 sites included in this listing, which was originally declared in 1986 and was extended in 2001. These sites are located in Teruel, Calatayud, Cervera de la Cañada, Tobed and Zaragoza. The city of Salamanca is an ancient university town. During the 3rd century BC, it was conquered by the Carthaginians before becoming a Roman settlement. The University of Salamanca is one of Europe’s oldest. There are also several historical centers with monuments depicting Romanesque, Gothic, Renaissance and Baroque styles. The old town of Avila was founded in the 11th century to protect it from the Moors. Avila is also known as the birthplace of St. Teresa and burial spot of the Grand Inquisitor Torquemada. Hence, you will see most of the medieval austerity in the town preserved even until today. There are also fortifications and Gothic cathedral preserved in the town. This town was the site of various battles between the Christians and Moors. This war-torn history is visible in the architectural features of the town. 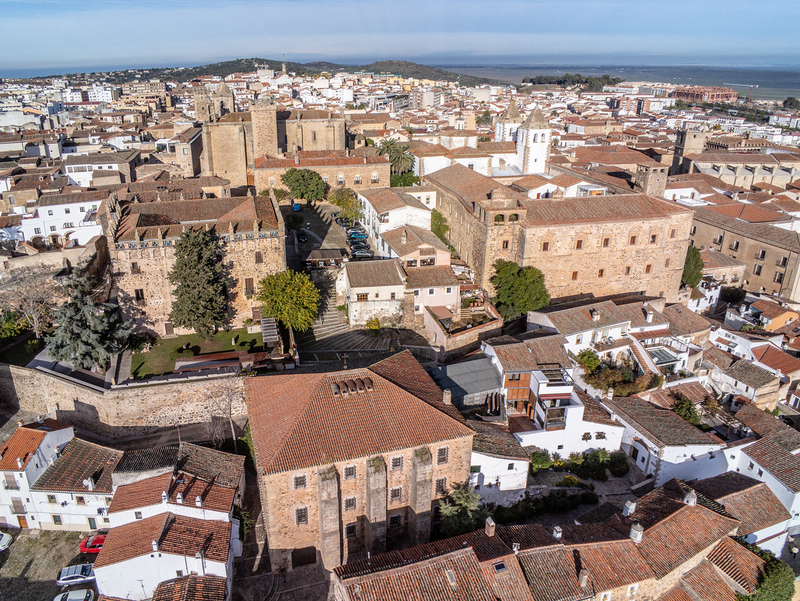 Cited as a World Heritage Sites the architectural structures in Caceres offer a variety of styles such as Roman, Islamic, Italian Renaissance and Northern Gothic. There are over 30 towers in Caceres built during the Muslim period but the most famous of them is the Torre del Bujaco. The Roman aqueduct of Segovia was constructed in AD 50. This aqueduct is well-preserved and best-known for its impressive construction. Built with two tiers of arches, it is just one of many monuments in the historic city of Segovia. The Alcazar is another important monument, together with a 16th-century Cathedral. Catalan architect Lluis Domenech i Montaner has produced two of the finest architectural structures in Barcelona: Palau de la Musica Catalana and Hospital de Sant Pau. Palau de la Musica Catalana is a steel-framed structure that is also a work of many designers during the day. 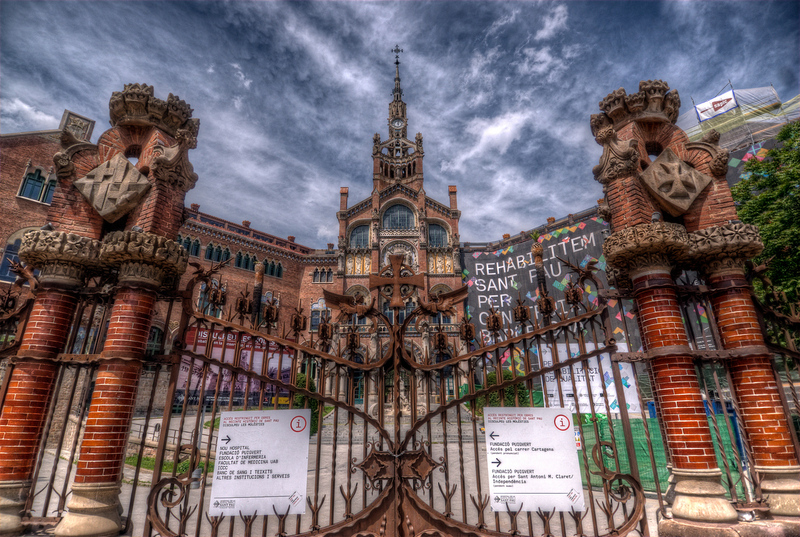 On the other hand, Hospital de Sant Pau features an equally bold design while caring for the sick. 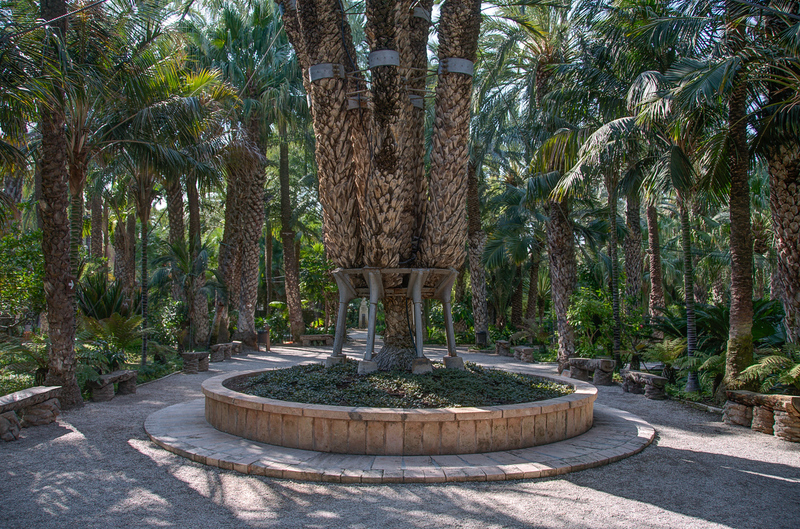 This listing in the UNESCO World Heritage Sites in Spain is noted for its massive landscape of date palms. Specifically, this landscape features formally laid out date palms and irrigation system. When it was founded, the city of Elche was ruled by Muslims and they employed Arab agricultural practices for the arid landscape. This was the first time that Arab agricultural techniques were used in Europe. 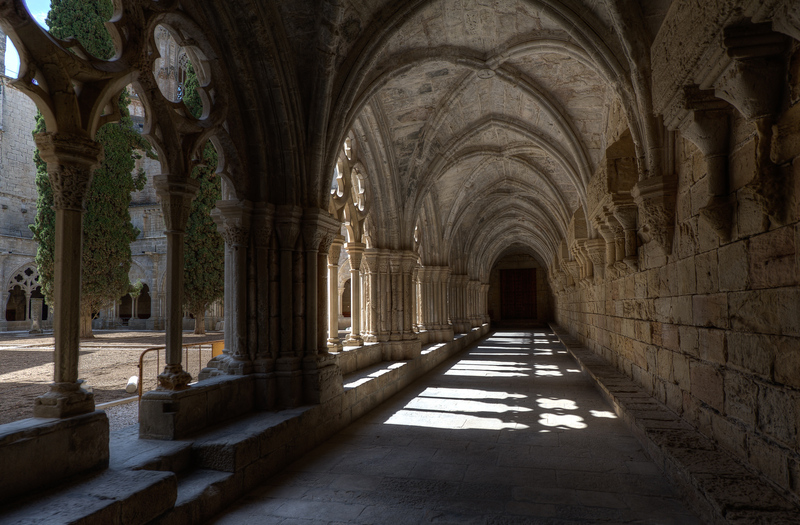 This Cistercian monastery was founded in 1151. 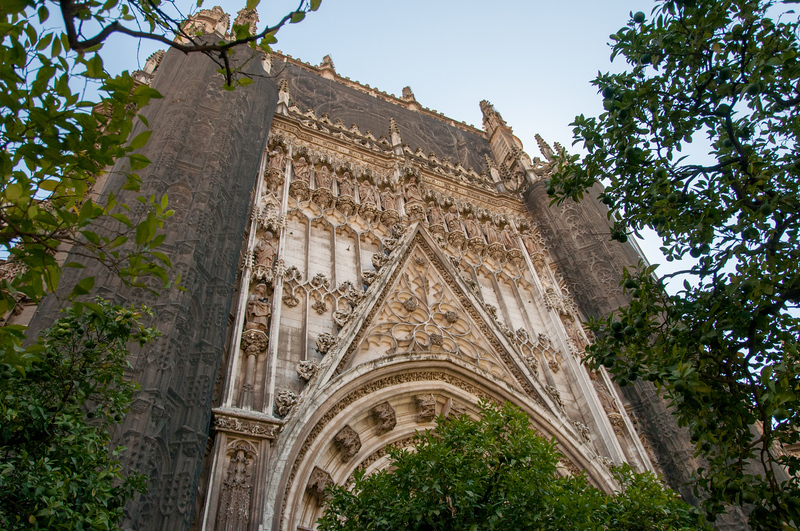 It features a Catalan Gothic architectural style with the help of architect Arnau Bargues. The monastery is located at the foot of the Prades Mountains. It is part of the Cistercian triangle, which consists of three sister monasteries. These monasteries were recognized into the list of World Heritage Sites for its ability to consolidate power in the province of Catalonia. There are two prehistoric art sites recognized as World Heritage Sites in Spain: Coa Valley and Siega Verde. These prehistoric rock arts are looked at as evidence of human occupation along the river banks during the Paleolithic Age. The rock arts depict animal figures and other themes associated with the era. This mountain landscape is shared by two countries: Spain and France. The mountain range is centered on Mount Perdu. The Spanish side of the Pyrenees features two of the largest and deepest canyons in the range. The pastoral landscape is also linked to the agricultural history of the region. The mountain roads, farms, fields and upland pastures all are part of the recognition for UNESCO World Heritage Sites in Spain. The two small cities of Ubeda and Baeza were established by the Moors in the 9th century and was later under the rule of the Reconquista during the 13th century. With the emerging Renaissance, it underwent renovation in the 16th century that introduced new humanistic ideas from Italy into Spain. Inscribed into the list of UNESCO World Heritage Sites in Spain in 1998, this rock art site has been around since prehistoric times. There is an exceptionally large group of these rock art sites along the Iberian Peninsula. The human development and way of life during the prehistoric times were vividly recreated in these graphical representations. Not only are the subject matter unique to the region but also the style in which they were painted and carved out. It was late in the 3rd century when these Roman walls were built in Lugo, Spain. This Roman town holds a collection of the finest Roman fortifications not just in Spain, but also in Western Europe. The most impressive part about these Roman structures is that most of them are relatively intact today. These military forts and Roman ruins are currently owned by the Spanish state and managed by the Ministry of Education and Science. This site listing on the UNESCO World Heritage Sites in Spain is a network of pilgrimage sites that stretch out to over 1,500 kilometers in distance. These sites include all of the historic structures within the area including hospitals, churches, cathedrals, and bridges, among other things. It was recently expanded in 2015 to cover more sites than what was originally inscribed in 1993. 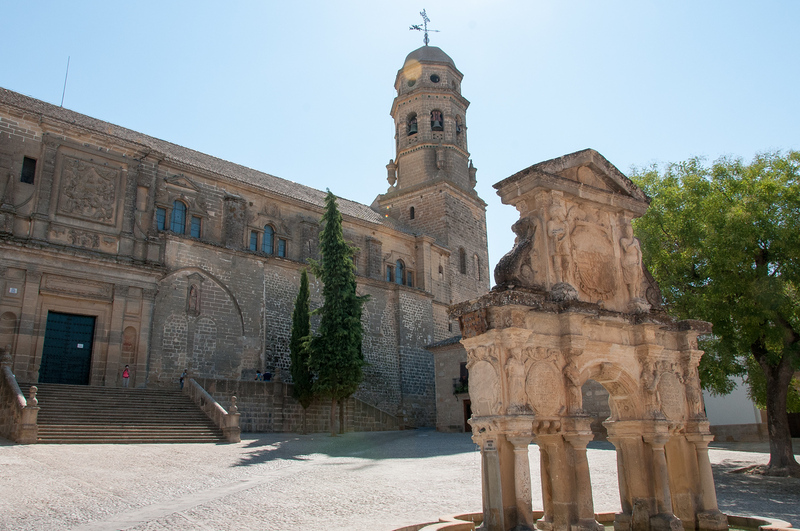 The monastery is an example of how Spanish religious architecture evolved in the past four centuries. It also represents two of the major world events that took place in 1942: 1) the reconquest of the Iberian Peninsula and 2) the arrival of Christopher Columbus in America. The monastery is such an important attraction in the town that Guadalupe centers around it. It is also an example of how different architectural styles were incorporated into a single structure or building. This city and municipality are located on the island of Tenerife in Spain’s Canary Islands. It is listed as a cultural site under UNESCO World Heritage Sites in Spain. La Laguna is deemed as the cultural capital of the Canary Islands because this is where the University of La Laguna is located. It is the first university in the Canary Islands. In addition, there are also plenty of emblematic buildings within the city and municipality including the Cathedral of La Laguna that serves as the seat of the Diocese of the Catholic Church in Tenerife. This monastic community was established in the mid-6th century. It was the place that people went to for pilgrimage purposes. A Romanesque church as built within the community in honor of St. Millan who helped found this monastic community. By the 16th century, a new community was built and it became part of that new monastery in Yuso. To this day, this community remains alive and thriving. This is yet another pilgrimage site recognized as one of Spain’s world heritage sites. In fact, it became the symbol of the Christian struggle versus Islam. The town was destroyed by the Muslims during the 10th century but underwent a complete rebuilding process within the next century. Today, the urban area of Santiago de Compostela is home to many Gothic, Baroque and Romanesque buildings. This national park is located in Tenerife, within the Canary Islands of Spain. The entire park is centered around Mount Teide, which is Spain’s highest mountain peak. The park was established in 1954 and is recognized as the oldest in the country. 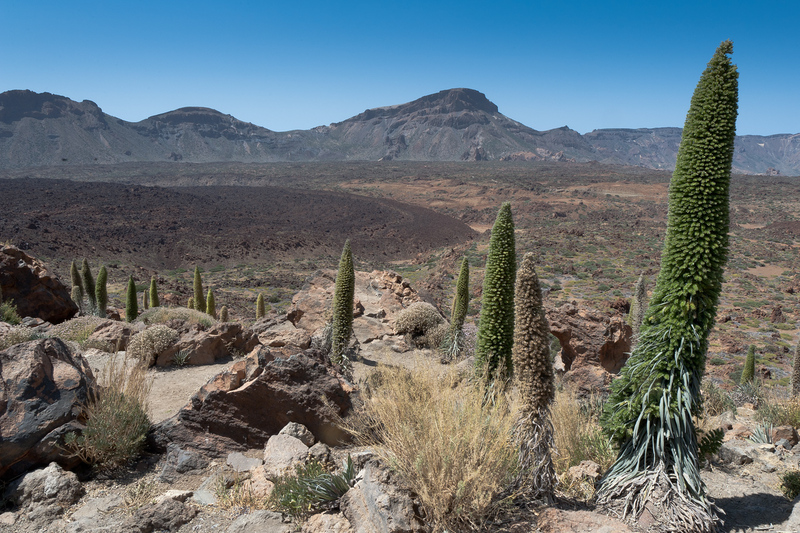 As of 2015, Teide National Park is the most visited in Spain and Europe. It has a large historical value aside from being a wonderful natural feature. The aboriginal Guanches consider this of spiritual importance and there are also numerous archaeological sites within the nearly 19,000-hectare park. This ancient Roman lighthouse is considered a National Monument in Spain. Although researchers could not determine exactly when it was built, some estimate it to be from the 2nd century. Rising up to 55 meters in height, it provides an overlooking view of the Spanish Atlantic Coast. It underwent several renovation stages that started in the late 18th century. It is the oldest Roman lighthouse in existence. But the most impressive part is that it is still in operation today. In the early 16th century, Alcala de Henares was founded by Cardinal Jimenez de Cisneros. It was the first university city that was planned and founded in Spain. It also followed the model created for the City of God by the Spanish missionaries. They also brought that same model to the Americas. Since then, that same model has been used by many other university cities founded all throughout Europe. 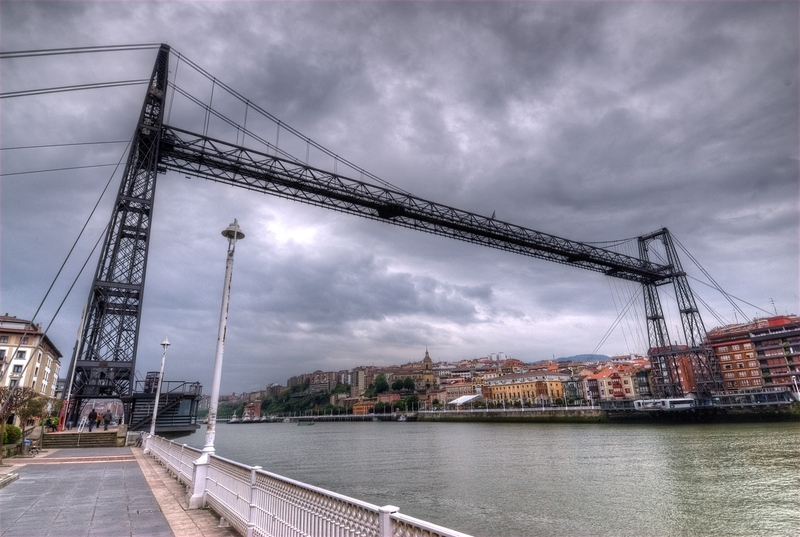 This transporter bridge is located in the Biscay province, Spain. It links two towns of Las Arenas and Portugalete. The bridge crosses over the Nervion River in Spain. The bridge is made of iron and is the work of architect Alberto Palacio and engineer Ferdinand Arnodin. The construction of the bridge was completed in 1893 but it was listed as a UNESCO World Heritage Site in 2006. It is unique because it is the only listing under the Industrial Heritage category for Spain. According to UNESCO, the bridge is an important monument because it combines beauty and functionality. The use of iron technology and steel cables for the construction of this bridge eventually became a model for new bridges constructed all over the world. The works of famous architect Antoni Gaudi is one of the few things that make Spain famous with tourists. He is a master of the modernist style. Indeed, his creations and designs are unique, particularly those found in the city of Barcelona. 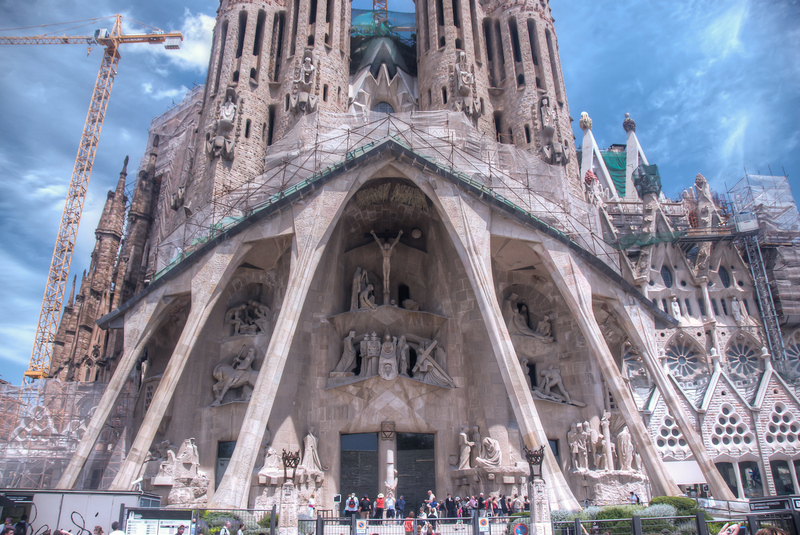 Some of his most popular works include the Sagrada Familia, Park Guell, Casa Guell, Casa Mila, and Casa Vicens, to name a few.